Native American spirituality focused heavily on the individual and tribal link to nature. As such, American Indians observed the world carefully looking for meaningful signs, symbols, and omens in everything from the wind to finding animal tracks. These emblems often became part of clothing in the hopes of carrying a specific animal’s energy on the hunt, while traveling or to any task where a little extra magic couldn’t hurt. Generally speaking animal footprints implied a message of some type from the spirit world. Shamans also interpreted animal tracks as signs and omens of things to come. 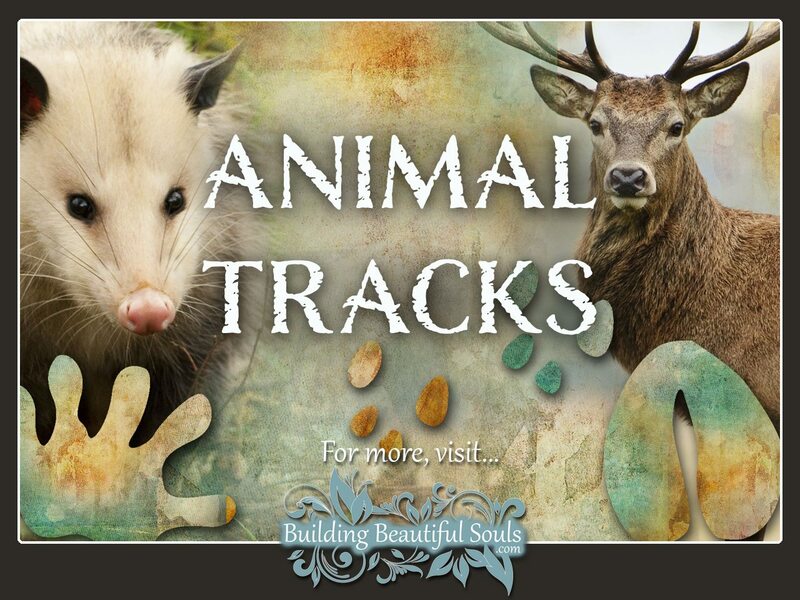 Scroll down to learn about the spiritual meaning of each animal track. Keep checking back as new animal footprints and track identification information is regularly added! ***Special note*** When interpreting Native American animal track meanings, it’s important to take into consideration which Cardinal Direction the tracks are headed. By understanding the symbolic meaning of North, South, East and West you can better interpret the messages from Spirit. Badger symbolism and meaning is powerful. These small creatures teach us that it is the size of your spirit which truly matters. 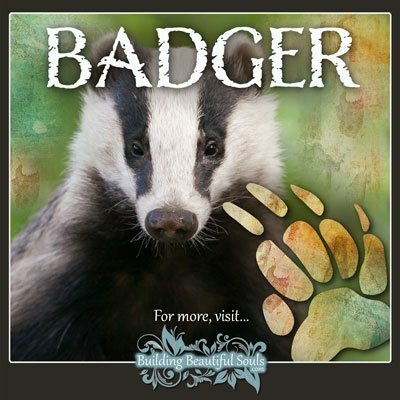 Badgers are extremely aggressive and strong when it comes to defending their space, so if someone has overstepped lately, use Badger power to mark your territory firmly. Badger tracks represent inventiveness. If these animal tracks are coming toward you it’s a reminder to use your creative nature to traverse the situation in which you find yourself. When you see Badger tracks it can be an omen that now is the time to be persistent in reaching your goals as Badgers stop at nothing to get what they want. Folks who find it difficult to complete projects are often presented with Badger tracks as a reminder to call upon the stubborn nature of Badger to help them achieve success. Finally, finding Badger tracks can indicate a time in your life where you need to take a leadership role. This might make you a little uncomfortable, but Badger is there to help you get through it authoritatively. 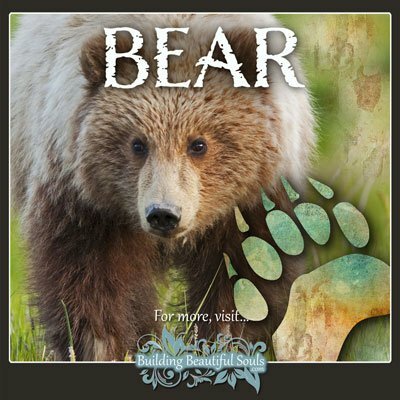 Because Bear symbolism and meaning represents power, protection and meditation seeing Bear tracks may be telling you to step up your game at home. Safeguard what and who you love like a mama Bear. Nurture what and who you love like a mama Bear. Bear track sightings also serve to remind us that everyone needs “cave time” – a quiet place where you can regroup and internalize the events in your life. This is particularly true if you’ve been through a whirlwind of action recently. Hibernation is a form of meditation and an opportunity for us to connect with the astral planes during the dreamtime. There can be great transformation awaiting you by heeding this message. While some people feel selfish for retreating, remember that when you emerge from the cave it’s a kind of rebirth. And we can’t do our best in taking care of others unless we take care of ourselves first, right? No soup comes from an empty pot. Bears are, also, very playful animals who will do just about anything to lay their paws on sugary foods. Seeing Bear tracks could be a sign it’s time for you to let loose, have some fun and eat your desert first! 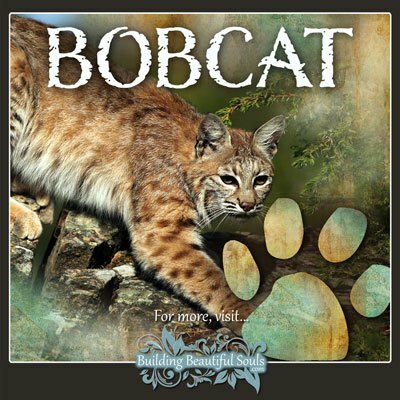 True to all cat symbolism and meanings, balance, patience, stealth and focus are the spiritual messages being sent your way when you happen upon Bobcat tracks. Thought pride animals, Bobcats tend to be more solitary creatures so seeing Bobcat tracks could be a sign that your spirit is calling for “alone time”. Alone time gives us the opportunity to shut out worldly distractions and focus on what’s really important for our mind, body and spirit. Seeing Bobcat tracks can be omen that the time has come for you to focus in on what you truly want in life, plan your “attack” and move with sure-footed confidence toward your goals. No matter a cat’s size, they are among the most playful of creatures so Bobcat tracks may have appeared in your path to remind you that laughter is one of the best healers. 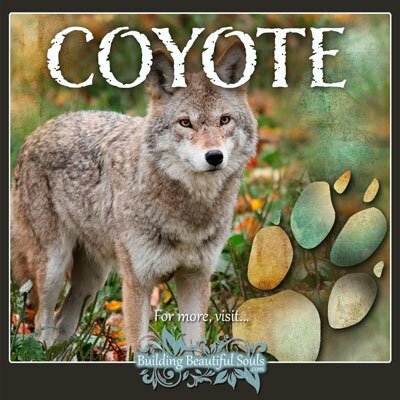 Coyote symbolism and meaning is most defined using the words “trickster” and “shapeshifter”. So, sighting Coyote tracks is a powerful sign to sit up and take notice of what illusions you are creating for others and yourself. Because the Coyote is the ultimate prankster, this creature’s antics can be hilarious. But there is a darker side to the energy in that we can become so skilled at deceit, we end up deceiving ourselves. Coyotes are, also, voracious. They never seem to be sated. Coyote tracks could be a sign that now is the time to take stock of your life (family, friends, career, etc.) and discover what you need to “consume” in order to feel “full”. Are you missing true love, real friendship, afulfilling career, etc. If so, what steps do you need to take to call these relationships into your world and fill the empty spaces in your heart? 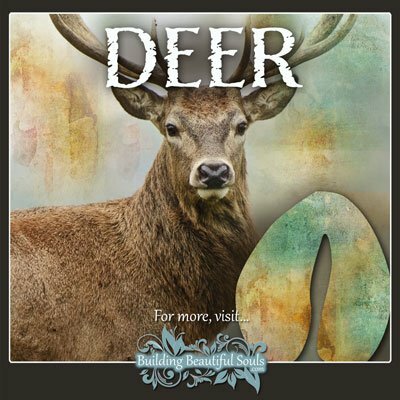 Deer symbolism and meanings include grace, elegance, abundance, fertility and sacrifice. These gentle creatures are one of the more profound energies in Native American symbols. For centuries, Native Americans tracked Deer not just for use as food but because Deer always lead them to the best herb patches. In this, Deer are honored for their generosity in connecting us to the best bounty Mother Earth has to offer and for sacrificing themselves to provide the meat needed for sustenance. Seeing naturally occurring Deer tracks is a very good omen that you’re protected and will not want no matter how dire your situation feels. If you’ve been ill, deer tracks can also represent the return to health and overall well-being. Deer tracks created by Native Americans was meant as an indicator to others that hunting was plentiful. Additionally they used this animal’s tracks to guide the way toward safe shelter and food. Because Deer move with such incredible dignity and agility, spotting Deer tracks could be a sign that now is the time to take stock of how you are moving through your own life-path. If you are stumbling, what steps do you need to take so you may move with the nobility of Deer? 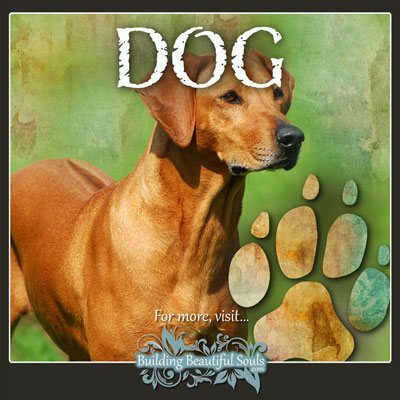 Dogs serve humans without judgment, offering devotion and compassion even to those who have sometimes caused them harm. In this, when we identify animal tracks as those of being created by a Dog, it can be an omen that now is the time to “forgive and forget”. While Dog spirit doesn’t expect us to simply “roll over” it does ask if your reproach toward someone or a situation is wholly warranted. Sniff it out and get the big picture. Fox symbolism and meaning is different around the globe. In some cultures it’s a wonderful omen and, in others, is a harbinger of death. However, widely accepted symbolic meaning of the Fox centers on the animal’s commitment to family, laser sharp hunting prowess and irrefutable sense of humor. In this, seeing Fox tracks can indicate that your focus needs to be on family at this time. There could be interlopers afoot who (consciously or unconsciously) are driving wedges between people through trickery. 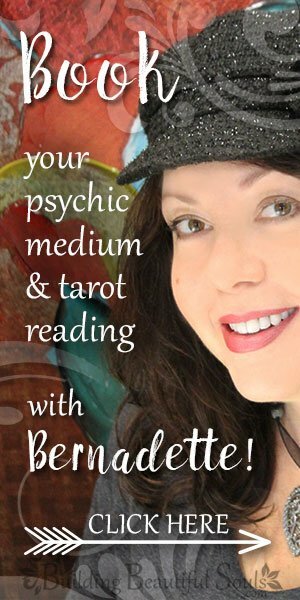 Now is the time to return to the den and examine your family dynamics. Find the source of tension and anger and start house cleaning. 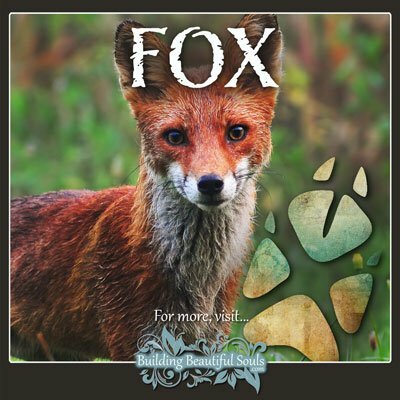 When Foxes are on the hunt, their bodies turn “straight as an arrow” so seeing Fox tracks can certainly be an indication that now is the time for you to focus like never before. Aim directly at what you want and let the arrow of your intentions fly straight and true. Finally, seeing Fox tracks is a reminder that laughter really is the best medicine so lighten up and find the mirth in your midst! Mouse symbolism and meanings center around ingenuity, quick-wittedness, industriousness and conservation. So, when we happen upon Mouse tracks it’s a harbinger that now is the time to be hyper-aware, think quickly, move quickly and conserve everything as it will be valuable to us at a later date. To the Chinese, Mice are revered as having tremendous business acumen and are, therefore, among the most fortunate as they will likely be wealthy. 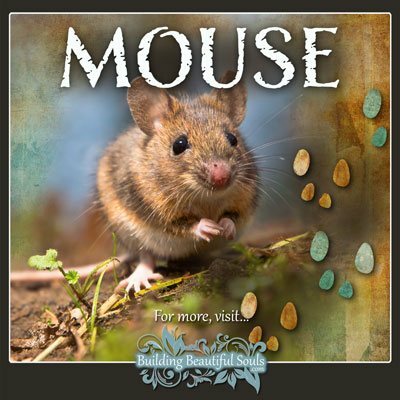 Seeing Mouse Tracks can certainly be a message from your animal spirit guides that the business venture you have been thinking about will be successful. 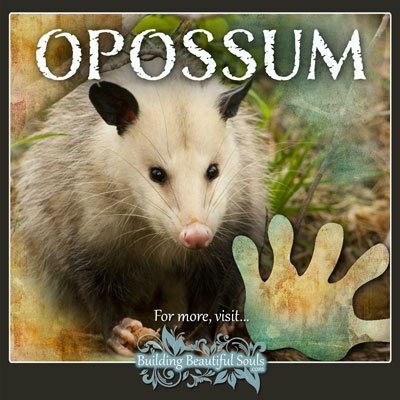 Opossum symbolism and meanings can be tricky. Let’s face it, these animals don’t look very imposing. But Opossums are very smart, fast and fierce creatures. When you happen upon Opossum tracks, they are telling an important story. Opossum tracks ask you to observe Opossum behaviour so you may call upon it when most needed. Tap into Opossum energy and use your crafty nature and keen mind effectively – particularly when dealing with an enemy. If your intuition tells you that won’t work, take a cue from Opossum – play dead until the troublemaker thinks you’re out of the picture. While you’re taking time make new plans on fixing your problems.